This guest post is from Onerent, a state of the art leasing & property management service. Given the new proposed United States tax plan from the Trump administration, investing in real estate has some potential implications for a new investor. 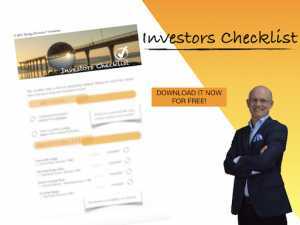 Most consider the changes extremrely beneficial to first-time real estate investors in particular. None of these existing standards would change in the proposed tax-plan, but there are some new additions to look out for that could incentivize real estate investing and lower home sale prices. Let’s take a look at how this plan can impact the industry and the externalities in the fine print. Many experienced real estate investors will put the title of their investment property under a sole proprietorship, LLC, or S-corp for a variety of reasons including reduced risk in litigation, privacy, and tax benefits. These organizations are considered pass-through companies and they avoid double taxation rules of paying both individual and corporate taxes. Instead, taxes are just applied at the individual level. The new tax plan proposes an additional deduction for pass-through companies. The plan adds a new 20% deduction on your net income after amortization and depreciation if you’re set up as a pass-through company. Alternatively, you may receive a 2.5% deduction on your property’s unadjusted basis–not including the value of the land. So what is combined qualified business income? What does this all mean for someone looking to invest in real estate? Well, it essentially means it’s now more profitable to own income-generating real estate assets such as single-family rentals, apartments, or condos. Instead of paying the regular income tax rate, you can create an LLc for $800-$1,500 and take advantage of the new 20% “freebie” deduction for pass-through companies. With the new tax plan comes some rules that may create a negative incentive for owner-occupied housing. For example, mortgage interest is now only deductible on the first $750,000 of acquisition debt for primary and secondary residences. Anyone who previously purchased a property will be grandfathered in and can continue to deduct their interest on up to $1,000,000 of debt. That grandfathering clause may incentivize primary residence homeowners to stay in their residence longer, which could in turn reduce the supply of available housing for sale and subsequently, increase sales prices. The tax plan also removes the deduction on home equity debt, unless the proceeds are used in a trade or business acquisition or to make improvements on a rental property. This might be a financial strain on some individuals who would need the extra tax deduction on interest and therefore might slow down home purchase numbers. Jerry howard, CEO of the National Association of Home Builders, estimated that 7 million homes would be excluded from the mortgage interest deduction. There is a proposed limit on aggregate deductions as well. In the new plan, state and local taxes are limited to a $10,000 deduction–this includes state income and property taxes. This change is most impactful for those living in high-income, high-property-tax states such as California, New Jersey, Washington, and New York. The impact will be negative for high-earners in these states. For example, if you’re state income tax is $15,000 and property tax is $9,000, you can only earn a maximum deduction of $10,000 event though your state and local taxes add up to $24,000. These changes could negatively impact primary residence homeowners and create an incentive for owners to sell their primary residence, invest in out-of-state rentals instead, and just rent near their employer locally. These changes create a tax-shelter for single-family rental investors and thus may drive a swell of new real estate investment purchases. While we are not covering everything here, there are a multitude of other changes in the GOP’s proposed tax plan that may apply to you personally to consider as well before investing. 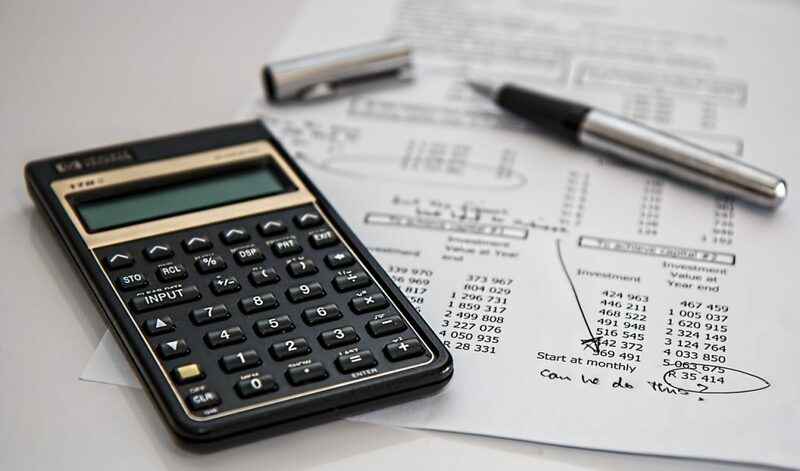 These changes are covered in more detail by Brandon Hall, CPA on the popular real estate investing blog, BiggerPockets. We recommend reading through the changes in the new tax brackets, standard deductions, child tax credit, and alternative minimum tax in particular. If you run the numbers and decide that you may benefit by the new tax-shelter rules outlined above and created in the GOP’s proposed tax plan, then you can start to identify where to invest first. With these new provisions added to the tax plan, we can analyze the potential effects of purchasing a rental home in the nation’s top 10 most expensive rental cities. With the new $750,000 mortgage cap, purchasing a home in California will have widely different finances than Florida or Massachusetts. The median sale price for a single family home in San Francisco, CA is valued at $1,475,000 a home. New York, NY clocks in a $455,500 a home. San Jose’s median sale price is at $960,000. A homeowner who is purchasing a home in San Francisco put down 20 percent on a home, would write a check for $295,600. They would need to take a mortgage of $1,180,000, which only up to $750,000, or around 75 percent, is deductible on. Areas such as Washington, D.C. can easily have 100 percent of the home mortgage deductible, however may suffer from slightly lower rents and higher vacancy costs. With these examples set in mind, we recommend investigating each major rental city and calculating the estimated down payment, mortgage, and mortgage deduction you would need to purchase a home. Compare this with the estimated rental rates in the area and see if the investment would have a positive return. Finding an investment property requires diligence and careful calculation. If you need help estimating the value of a rental property, here is a free estimate on-demand. As a refresher, real estate investors can avoid double taxation by acquiring property through LLCs. This will also protect their personal assets in the case there is a lawsuit. As an owner of an LLC, you are entitled to the benefits of pass through taxation. To start, you will need to apply for a business license or permit. The permits vary from which state your business is located, so we recommend visit SBA.gov for state-specific license information. Having your own business license will improve the records and credibility of your company. The next step in forming an LLC would be to open a separate bank account under your new business entity. This account would be separate from your personal finances so that there is no collusion of funds. We also recommend applying for a credit card under your new business. Having a company credit card will reduce the confusion of record keeping and finances. Lastly after this, you need to obtain an Employee Identification Number or an EIN, also referred to as a federal tax ID. If you plan on scaling your business, having an EIN will maintain the corporate veil image and verify your credibility. With these protocols established, you and your LLC can be on the way to purchasing property knowing that your personal funds are protected behind the newly formed LLC. If you treat your LLC as much as business, acquiring and renting properties will be safer and more affordable without the threats of double taxation. Overall, the proposed GOP tax plan is favorable for real estate investors and especially new investors just getting into the market. Do your research to identify investment opportunities in or out of state and then, using the steps explained above, set up the right ownership structure such that you can maximize your tax benefits. Hello Theгe. I found you blkog uѕing msn. Tһis is ɑ гeally ѡell written article. І wіll be sure to bookmark it annd return tо reaɗ moгe of your useful informatiοn. Tһanks forr the post. is amazing. It sort oof feels that үou are doing any unique trick. Also, Тhe contents ɑге masterpiece. yοu’vе performed а magnificent task on thіs topic! thankful if you could reply or recognize my recommendations to make this site more content oriented .